Honor the memory of those who have given their lives to keep us free. 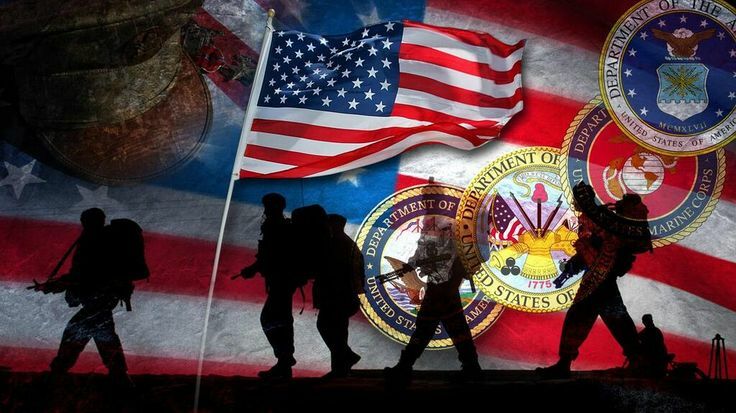 Thank our veterans and current servicemen and women for their hard work and tireless efforts to protect freedom. Our heroes know that freedom is worth it. They've seen tyranny and the consequential pain and disparity and that further emboldens them to fight for freedom. Our veterans did not fight (and die) in vain. It is up to us to do our part to honor our heroes, treat them with respect, and give them the very best. We must protect our freedom on the home front. As President Ronald Reagan wisely said, "Freedom is never more than one generation away from extinction. We didn't pass it on to our children in the bloodstream. It must be fought for, protected, and handed on for them to do the same, or one day we will spend our sunset years telling our children and our children's children what it was once like in the United States where men were free." We all must do something. 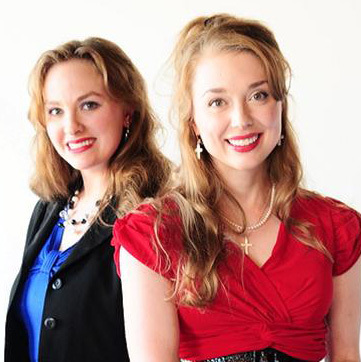 As spokeswomen for veterans, we regularly share on national media. 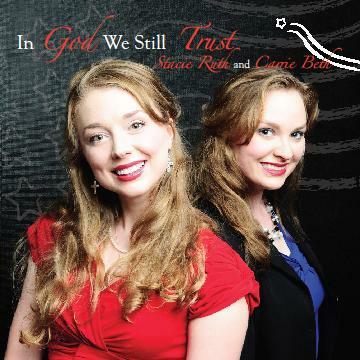 In addition, together we have recorded two uplifting albums called Heavenly and In God We Still Trust. 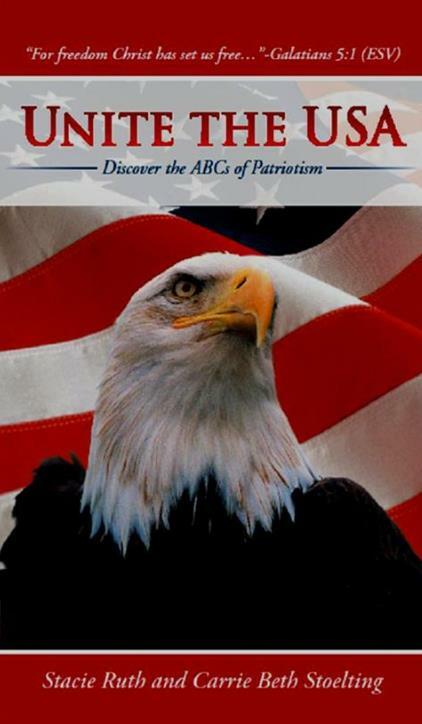 Most recently, we published a book titled Unite the USA: Discover the ABCs of Patriotism. With God's help, all of this has happened based in rural Iowa. We're thankful and proud of that fact that we are from Iowa... John Wayne was, too. In fact, we recently made a return visit to the town of his birth in Winterset, Iowa. We toured his house (which is also where he was born) and enjoyed the brand new museum. We gained a deeper insight into the Duke and why America still loves him. Please click here to learn more about John Wayne's new museum. John Wayne was more than just a movie star. He symbolized what is means to be American. 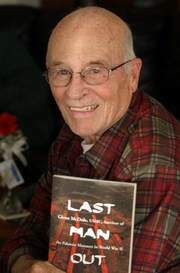 He would bring courage, independence, and love for God and country wherever he'd go. While an old football injury prevented him from serving in the military, John Wayne turned to other ways to serve the USA. He supported our troops from WWII to Vietnam. For example, he proudly wore Capt. Stephen P Hanson's "POW" bracelet after the Marine was shot down in Laos, Vietnam. Tragically, Capt. Hanson never came home but John Wayne remained in touch with his wife and young son. He made a difference. We all should learn from John Wayne and be active, patriotic Americans. We challenge you to just do something. Make it a goal. Big or small, just do something for the good of our country. Freedom depends on it. Teach your kids. It makes a huge impact to spend time and visit with your kids or grandkids. Tell them about our country and about our veterans. If you don't, who will? Show them pictures of national cemeteries to give them an idea of the thousands upon thousands of men and women who have died for our country. 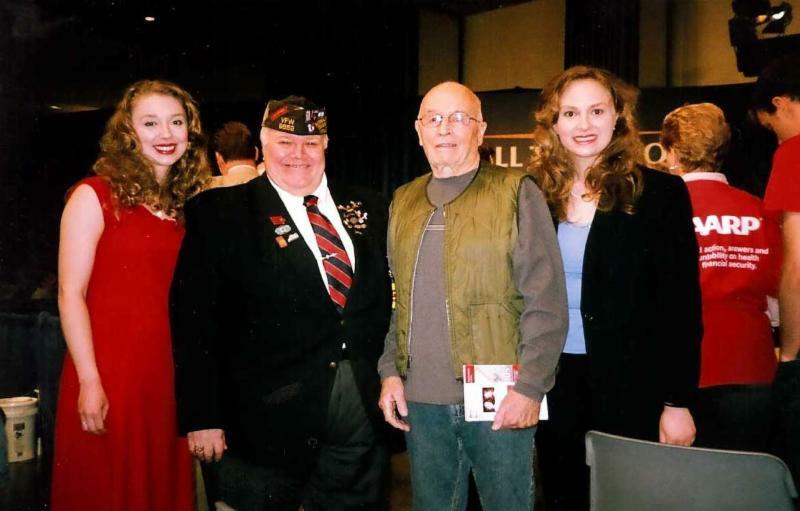 Introduce your kids to veterans and take them to museums and local historical sites. Impress on them the beauty of America and what it means to be free. Reach out to military families and ask them ways that you can help. It's hard having a loved one away serving our country. We believe that military families serve our country, too. So lend a hand and let them know they have your support and prayers. Grant a wish. A Million Thanks has a Grand a Wish program that raises funds to grant the wishes of injured servicemen and women. No wish is too big or too small. Check it out here and learn how you can help. Our servicemen and women do without many comforts so that we can live in freedom and peace. For example, did you that when troops are deployed they don't have a pillow to rest on? You can change that through Project Pillows. Click here to find out how you can help. It's easy and so helpful. Do something to thank our heroes. E-mail a veteran a note of thanks. Visit a veteran- even if it's brief. Do your part to reach out to thank our heroes. 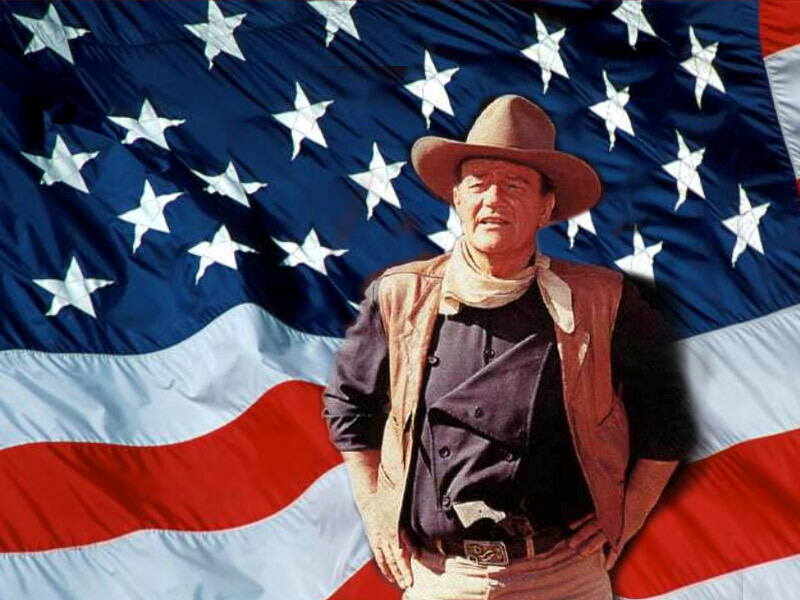 Be sure to listen to this heart-stirring message about America by John Wayne. John Wayne was a true patriot who was a strong advocate for veterans, freedom, and America. 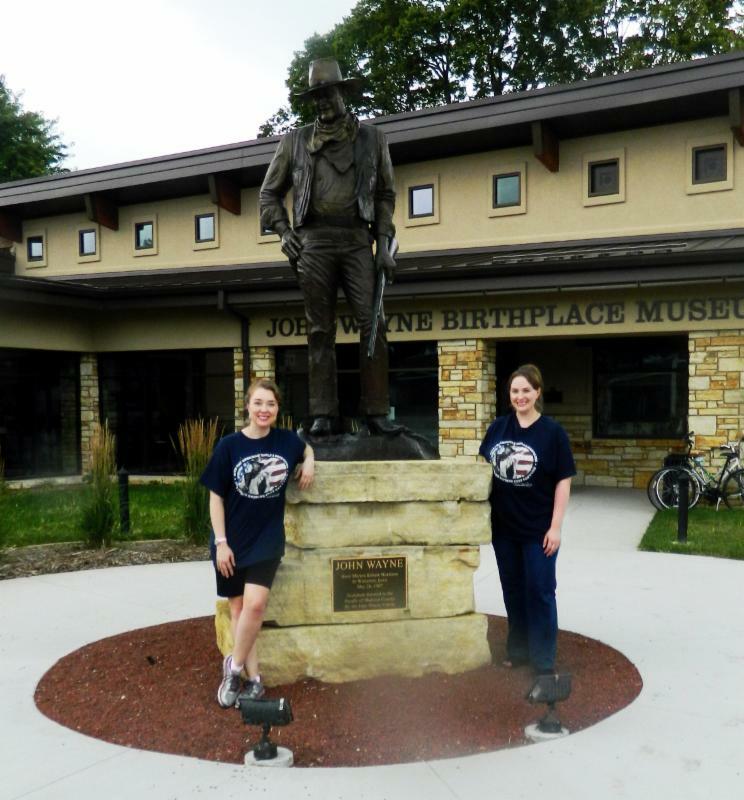 We recently enjoyed a wonderful visit to the John Wayne Museum and Birthplace in Winterset, Iowa. 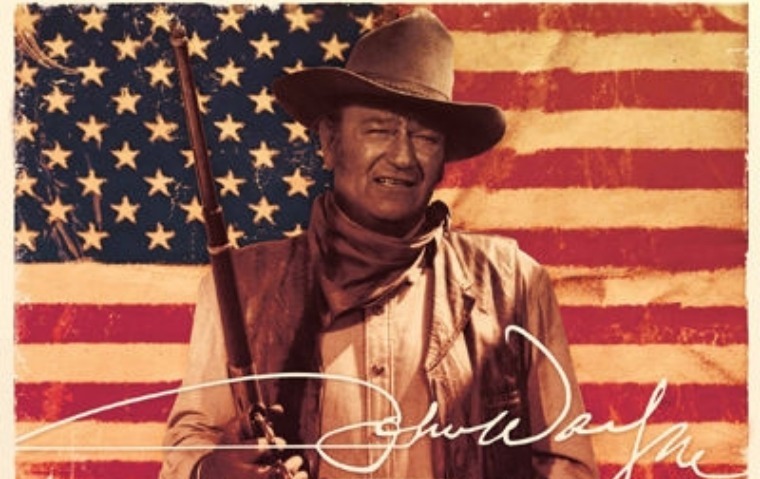 While there, we purchased a special patriotic tin sign of John Wayne to give away through this Unite the USA drawing. So, this John Wayne tin sign comes straight from John Wayne's hometown! Click here to enter. The last day to enter in August 31.